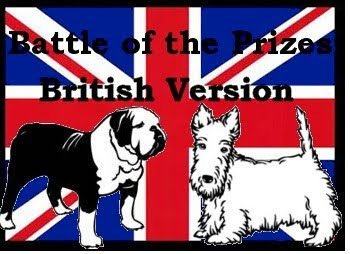 The 2010 Battle of the Prizes, British Version, ends today, on January 31, 2011. The 2011 challenge starts February 1. This challenge pitted winners of the English Man Booker Prize against winners of the Scottish James Tait Black Memorial Prize in a British Version of the Battle of the Prizes. Thanks to everyone who participated! I hope you sign up for the 2011 challenge. I'll get that post up tomorrow. Participants could read three books or four -- either one Booker winner, one Black winner, and one that won both prizes; or two Booker and two Black winners. If any one else has reviews still to do, no problem. Just give me a link in a comment here and I will add it. This was great and I'm glad to hear I can sign up for a repeat soon. Meanwhile, I am chuckling from your "recovering . . . and not in a good way" remark. Can't wait to hear the rest of that.